Located in a convenient part of Hyderabads business district, this fully furnished business centre offers a premium infrastructure and fully equipped spaces alongside reputable multinational corporations. There is a range of options, from individual work stations to dedicated private offices, available on flexible terms and at cost-effective prices. Providing 6,000 sq. ft. of space made up of 165 workstation, five meeting rooms, private cabins and fixed and flexible seating options this business centre offers members a high-tech enabled physical infrastructure in Hyderabad. Begumpet is the home and prime location to this office space. There are 20 workstations and one cabin that could be an ideal fit for BPO and software companies. Located in the north-west part of the city which is home to major IT companies, this beautiful commercial property includes 500 workstations and six meeting rooms with premium cabins, fixed desks and flexible desk arrangements. A contemporary office building next to the Botanical Gardens. From the 8th floor the flexible office space provides beautiful views and direct access to the whole city via Kondapur Highway. All of the spaces available are fully customisable to suit your business requirements. An office space with a beautifully designed interior furnished with chic, high end furniture which ensures a modern look and feel. Situated next to the Botanical Gardens on Gachibowli, Kondapur Highway, this centre boasts a three-level atrium that is filled with an abundance of natural light which is sure to impress guests and tenants. Ideal for young and energetic start-ups looking for quality and collaborative workspace. With a prime location in Gachibowli, this centre, located in a LEED certified, gold rated, green constructed, A Grade building was designed with global business demands in mind. Offering a variety of different sized office, meeting and boardrooms with premium business amenities including conference and videoconferencing facilities, WiFi, administrative support, and a multilingual onsite management team. Currently connected by bus and main roads, this centre comes with in-house parking. With restaurants, eateries, shops and hotels in close proximity, this centre has a warm sense of community and providing all the elements for comfortable and easy care working makes this centre a great space to house your business. Work space as a service; incorporating technology that enhances work place experience along side space created to enhance productivity. Aiming to help clients save on capital through the offering of pay-as-you-go solutions with furnished office space and effective facility management team. This business centre provides fully furnished, plug-and-play office space located in the technology hub, HITEC City, Madhapur, home to several well-known technology organisations. 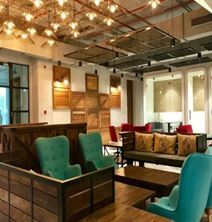 A sough-after office location for freelancers, creatives and start-ups. This highly efficient Grade A contemporary office building is designed to provide a flexible work environment for your business. Located in the heart of Madhapur, and surrounded by major corporations, this centre is easy to access. This center offers clients a selection of office spaces to lase in the most important hi-tech district of Hyderabad, a renowned IT hub which hosts international IT companies, banks, numerous shops, amenities and leisure facilities. The office space is close to the railway station and well connected to the airport, these office spaces are also easily accessible and well served by public transport links. Creating space that is designed to promote human productivity while using technology to enhance work place experience. A pay-as-you-go solution that aims to help clients save on expensive capital and overheads by providing furnished offices and an effective facility management team to significantly enhance the productivity of employees, who are able to focus on work while everything is taken care of. Well connected to the Madhapur and Gachibowli IT Corridor, Kondapur is a very prime location as it is near to hospitals, schools, banks and restaurants, with good public transport and commutation facilities. In the vicinity to Hitech city and Gachibowli areas, this centre has great access to the IT hub of Hyderabad while also being in close proximity to Tech Mahindra Campus. At the heart of all the action and overlooking a comprehensive lifestyle hub, this centre is a prime location to access external event spaces, urban amenities, health clubs, fantastic social infrastructure with the likes of multiplexes, high street fashion outlets and hospitals all within proximity and remarkable connectivity through the Hitec City Road. This co-working space is designed for entrepreneurs, freelancers, startups, and even Fortune 500s, and provides your business with more than a home by giving is a community to grow with. Designed and imagined with the millenial spirit in mind, this space will help to drive collaboration and fuel inspiration. Equipped with it's very own private social network, enabling you to connect with the global community and network with individuals based on likes, interests, the services they provide and the industries they are a part of. Offering a contemporary and corporate environment right at the Hi-Tech City corridor of Hyderabad near Inorbit Mall this business centre is fully equipped with the latest IT technology, state-of-the-art meeting and conferencing facilities, all of which complement premium serviced offices with exceptional views and high quality furnishings. Office space prices ranging from ₹375 - ₹100000 per month. Situated very close to the residential and commercial hubs of Hyderabad, Hitec city is in close proximity to the airport too. A business located among tech giants and other fortune 500 companies enjoys an enhanced brand image and esteem among customers and clients. This serviced office located at Hitec City, Hyderabad is strategically situated and makes the commute between home and office easy. Its very location becomes its advantage. 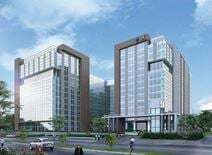 Close to the Metro station and Rajiv Gandhi International Airport this centre has a prime business address in Hitech City and is spread over three blocks and 8.73 acres of land. They offer fully furnished office space, meeting rooms and virtual office solutions. Located in Hi-Tech City Phase 2, this centre is in the prime location to access a hub of IT giant’s. Multi-national companies like Oracle, Dell, Delloite, Tech Mahindra, HSBC and the like surround this centre. A swanky collab area that doubles as an entertainment zone is one of the features of this space and premium cabins and flexible desk options are available. The fixed space options come with pedestal storage, whiteboards and pin-up boards while the flexi space options are established as a vibrant community. With great connectivity routes that connect you to all other parts of the city via the ring road and a railway station just two kilometers away this centre is very accessible and a great option for your business to call home. 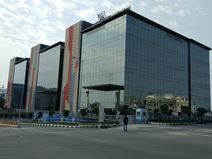 An expansive business campus setting in Uppal Village, Hyderabad. The contemporary building is in Uppal"s Industrial Estate and offers fully furnished and well equipped office space and executive suites options that are flexible and customisable allowing your space to grow as your business grows. The Workspace based in a big Complex is well connected to public transportation and offers facilities like a mailing address to get your office registered. Furthermore they provide furnished meeting rooms, trained team of experts to assist you and have flexible terms and conditions. In the neighbourhood are banks, hotels and eateries located as well as the centre is close to the Wipro Lake if you would like to go for a walk during your lunch time. 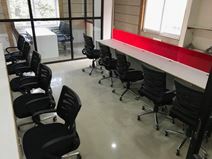 In the prime location of Madhapur, Hyderabad, this co-working centre offers flexible office space for your company needs whether you need a desk for one person or a few, or a private office. Amenities include high speed internet and uninterrupted power with 24-hour access, parking facilities, and copy, printing and scanning amenities for you to use. Situated at the edge of Hitec City, this centre has great access to food and beverage venues, financial institutions, and transportation. It also has access to educational institutions and technology companies to recruit from or partner with. The centre located in Madhapur a suburb of Hyderabad provides professional services which might be useful for your business as well as they have an on-site management team available. It has emerged as the ideal hosting place for many national and international conferences and it is close to the public transportation. Located in a newly constructed, Grade A building in a mixed use development area that is easily accessible via road and public transport. Business lounge areas are available to create a collaborative work environment while private options are also available. Attracting local professionals, nomadic wanderers with laptops in tow, innovative entrepreneurs, startups and businesses into a professional office with friendly coworking spaces designed more like cafes. This is where interaction and collaboration naturally happens amidst the minds that think outside the box. All spaces include general maintenance, electricity, security and housekeeping so there are no nasty surprises after paying your membership fees. There is super-fast Wi-Fi to plug into and oodles of tea and caffeine shots to be had on a complimentary basis. Located in Hitec City, Hyderabad, this center offers fully furnished, ready-to-use office space and meeting rooms. A range of amenities can be found here, all to help you run your business the way you want. With unstructured operational hours, uninterrupted power supply, diesel generator back-up, secure access control, CCTV surveillance, secure internet internet connection, a dedicated lunch area, and a professionally trained team to assist you with all your daily working needs. A number of 5-star hotels situated alongside more affordable hotels, and restaurants within a half-mile radius offering local and international cuisine options. Accessible via car and bike with parking facilities on site, as well as buses and less than a 15 minute drive to Hi-Tech City. The collaborative workspace in Madhapur Hyderabad is in Premium Business Center. It's less then a five minute walk from the next bus station. The facilities have both worlds, a business center as well as a flexible plug and play office. It is the most sought after location to own an office space for energetic enterprises, start-ups, freelancers and creative geeks. About 10 minutes away from the office space is the Durgam Cheruvu Secret Lake Park where you can have a nice walk during your lunch break. This fully serviced centre offers ready-to-go space with reception/front office services, cabling, air conditioning, IT and telecoms, power backup, the use of shared facilities such as kitchens, breakout areas, and meeting/conference rooms. The flexible, fully-furnished, customized spaces are suitable for leasing for a team of any size, from one person to 25 people. This space is your go-to destination for a productive, vibrant and enriched shared space with stellar peers and is in close proximity to other areas like Madhapur and Kukatpally. Located in a prime location this space is accessible from Main road and will be accessible from KPHB Metro Station. The space is located on the Hyderabad-Mumbai Highway just beside KPHB South India Shopping mall making it accessible to eateries, cafes and shops as well as banks, hotels and hospitals. This newly constructed, plug and play office space is available for rent and is suitable for those in the IT recruitment, US staffing and consultancy services industries and those who freelance. 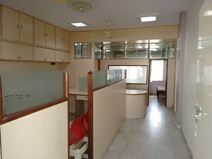 Ideal as a corporate / branch office this fully furnished space is very close to the upcoming Hyderabad metro rail station. It is ready to occupy and located on the second floor of the building. 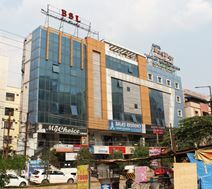 This business centre is one of the fastest growing in Hyderabad and was established in 2013. A mix of fully furnished private and coworking options are available. Based in one of the most prominent IT parks in Hyderabad, this office complex offers a fully equipped corporate boardroom, expansive conference rooms and executive business lounge. An extensive food court is available on-site and there is also a welcoming recreational space accessible for tenants. A premier 5-star hotel and a shopping mall are located within the same complex. The IT park is occupied by major international corporations, creating a true cosmopolitan environment for businesses. Productivity ready space suitable for emerging companies, startups, one-man armies, travelling professionals and individuals seeking enriching coworking space. From private offices and coworking spaces to meeting and board rooms, and event and workshop space, this centre offers the capacity to grow your company physically and connect you with role models to grow it productively. 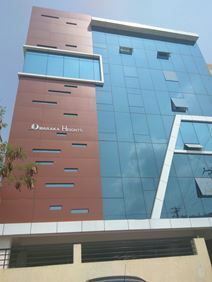 Located in HITEC City, on Mindspace Road. In the surrounding area, there are a number of cafes and restaurants. Onsite parking is accessible for visitors and employees. A ready-to-use work-space with plenty of amenities. There is a full-time receptionist, who is able to meet and greet guests. The pantry area is well-equipped with tea, coffee, soft drinks and snacks. You can keep your belongings in the secured storage facility. There is a house-keeping team that ensures the office space is kept clean and hygienic. 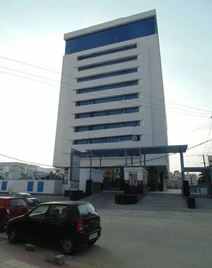 Situated in central Kondapur, surrounded by well-established IT and tech companies such as Microsoft, Google and IBM. Parking is accessible and there are a number of bus stops outside the space. Rajiv Gandhi International Airport is a 50 minute drive from the space. In the vicinity, there are several eateries and coffee shops. This centre offers an extensive range of serviced office spaces in a modern complex at the core of the city of Hyderabad. This easily accessible address is complemented by a superb range of local amenities, including banks, hotels, restaurants and retail. Established in 2013 this business centre provides a range of fully furnished commercial plug-and-play serviced offices and co-working space adjacent to Midspace Image Hospital road. This space offers flexible desk options and premium cabins. The interior is stylish and contemporary. The onsite management team are there to support, and help with any issues. There is a cafe onsite which has a great variety of food and beverages. The space has high-speed internet, laser printing, video conferencing and video projection. Located in Hi-Tech City Phase 2. Here you will find many IT giants, such as Tech Mahindra, HSBC, and Deloitte. Being situated near to the ring road, all other areas of the city are easily accessible. It is 35 km to Rajiv Gandhi International Airport and 2km to Hitech City MMTS Station. This business centre is located in Koti and offers two cabins and 12 co-working desks for clients from any background. Centrally situated in the middle of the city, this space is ideally suited for all types of business, and has easy access to bus stops and railway stations to make your daily commute a total breeze. Services offered at this space are furnished offices, a conference room, high-speed internet and free water. An energetic office space, with bursts of colour. The interior is plush and stylish. There are a variety of options to choose from, which include; hot and dedicated desks, as well as private offices. Postal facilities/ mail handling is available. Copying and printing facilities are spread out amongst the space. CCTV and access cards ensure a high level of security. Situated in HITEC City, in the midst of some of the world's biggest IT companies, such as IBM, Amazon, and Dell. The space is easy to reach via bus as there are several stops located nearby. Alternatively, if you commute in by car you will find onsite parking. It is a 9 minute drive to Hitech City railway station. There are a number of cafes and restaurants close-by, as well as banks and hotels. Located in the centre of Hyderabads CBD, this contemporary office building provides a comfortable and professional space for your business requirements. Ample car parking is available, and the centre is close to a range of local amenities. The workspace located in Hitech City- Hyderabad is fully furnished with ergonomic seats, high-speed internet and a power backup. Furthermore the centre is based close to public transportation as well as there is an on-site management team available to meet your business needs. Generous space for hassle-free parking and greatly secured work environment round the clock. Work, play and stay at this centre and enjoy a wide variety of facilities including digital security, 24/7 access, tea and coffee, free wifi, printing, copying and scanning facilities, meeting rooms and business networking. As the space offers 'play' and 'stay' facilities there are also indoor games and accommodation available on site. Virinichi Hospital is two minutes walk away from this centre and it shares it's neighbourhood with pharmacies, the Oyster Indoor Swimming Pool, a variety of banks, shops and restaurants. Accessible via bus and car with secure parking on site. Offices for lease in the upcoming central business district of Banjara Hills, overlooking the majestic Vengal Rao Park. The office enjoys good connectivity to the airport and city centre as well as to banks, hotels, restaurants, shopping malls and hospitals nearby. Banjara Hills is home to many international and local banks - HSBC, Scotia Bank, ABN-Amro Bank, HDFC & ICICI. The tenants are offered high-speed Internet connection as complimentary and customised business support services for a nominal charge. Situated in Banjara Hills, this centre is in the corporate capital of the city and offers co-working and managed office spaces at a low cost on flexible terms. 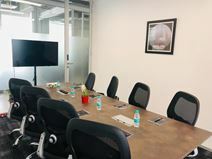 Equipped with a variety amenities including air conditioning, breakout, lounge and meeting space, conference and copy/printing facilities, shared internet and WiFi. The area is connected via bus and metro services, and with parking onsite you have the option to drive in yourself. This leased office is comprised of inter-connecting meeting and conference rooms to provide that added flexibility for your client visits and business meetings. There is a welcoming reception area to start off with and this is evident throughout the office - from warm decorations to stylish furniture. Good IT facilities are further supplemented by dedicated support staff who are readily available at your disposal. This office is situated in the Banjara Hills area of Hyderabad which is renowned for its trendy hotels and celebrity lifestyle. The office space caters to both worlds, a business centre and instilling creativity and innovation for all members. It houses several well-known technology organizations. The space offers the most sought-after location to own an office space for energetic enterprises, start-ups, freelancers and creative geeks. Its coworking space is your go-to destination for a productive, vibrant and enriched shared space with stellar peers. There is a welcoming reception area to start off with and this is evident throughout the office - from warm decorations to stylish furniture. Good IT facilities are further supplemented by dedicated support staff who are readily available at your disposal. From a prime location the heart of the Hyderabad financial district this building is a stand-alone marvel that can cater for requirements from 100 sq. ft. up to 20,000 sq. ft. making it equally suitable for small start-ups to major corporations alike. In an area that is home to many global luxury brands including Skoda, Volkswagen, Porsche, Jaguar and many more, this modern building in Telangana is situated within one of Hyderabad"s most expensive and exclusive commercial and residential neighborhoods. World famous for Hyderabadi biryani and known as ‘Cyberabad’ because of its development as an IT hub, Hyderabad is fast becoming a prime location for national and international businesses to set up shop. With the historic sites, gracious hospitality and delicious cuisine, this centre in Hyderabad offers access to a variety of cultural insights. A top of the range, corporate office space with flexible solutions as well as meeting conference rooms that meet all your conference and meeting needs. With an ideal location opposite the Google offices in the heart of Hitech City, this business centre provides a rand of tailor-made serviced office solutions including well designed office space and access to a fully trained business support team. Within walking distance of Fortune 100 companies this premium serviced office space benefits from one of the best locations in the city. Meeting rooms of various size are available to tenants along with state-of-the-art technology and a cafeteria facility that can cater for up to 250 people. Gain access to this space via metro, bus or car. Found in Purva Summit within Hi Tech City, Hyderabad, and situated among hotels and apartments, banks and financial facilities, hospitals and other medical infrastructure, restaurants, bars and cafes. A neighbourhood with numerous parks and gardens throughout, perfect for a new lunch location or afternoon break when you need to get out of the office. An office space offering co-working and private office solutions the smart way. Enjoy the co-working area with access to smart cubes when you need some additional privacy, or if you need non-intrusive office space that's bespoke to your business, choose one of the private suites available. Amenities including high speed internet, contemporary cafes, fully equipped conference rooms, friendly receptions, inspiring communities with gaming rooms and a supportive gofer, your new office space has never looked better.